The age of technology we live in today has brought many benefits to businesses around the world. The Internet was the first to break the borders and gather people in a single place. One of the advantages the Internet has brought to businesses is the ability to hire remote workers from all over the globe and assemble teams of exceptional talents, without being limited to company’s vicinity, country or even continent. The most important thing in the current digital environment is content-related. 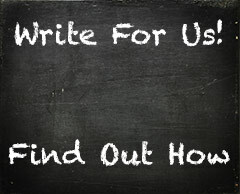 An efficient content writing team is an essential part of any digital marketing strategy. Whether it is a sales pitch, a product description, an in-depth guide or something as simple as a catchy heading for your social media posts, you will always need a good content writer on your team. We live in the era of digital startups. Most startup core teams today consist of up to six people that brainstorm, plan, prototype and develop their ideas.No matter the part of the process they engage in, they will always need quality content. That’s why having a team of outstanding content writers is an essential aspect of every successful business. However, even with all the benefits technology has to offer, managing a remote team is not without difficulties. Therefore, how do you assemble a team of remote content writers that will fit into your organization without too much fuss? Well, here is an example of the process that you might find useful when creating a remote team of content writers. You might wonder if remote workers will get too distracted by working from home or that they won’t feel like a part of the company. However, it’s important to understand that content writers are ideal remote employees because they can work from home. Simply put, every content writer has their unique environment at home, which helps them produce the best content. One may go for a walk to find inspiration, while another may bash loud music. Those environments aren’t really possible in-house, and if you bring writers into an office, you might kill their creativity and inspiration. Furthermore, one of the most significant issues with remote work is the availability of data and coordinating different team members, such as content writer, editor, content manager and strategist working on the same assets simultaneously. That’s why many companies are moving collaboration and communication to cloud solutions, where managing such tasks is a lot easier. The Internet connects everyone – A lot of excellent writers have their own blogs or website on the web. With a little bit of research, you’ll be able to find who you’re looking for. Also, you’ll even see examples of their work online, which helps a lot in decision making. College graduates – If you want employees with a college degree in a specific language you can check out new graduates. Most of them would love a job in their field of expertise, and even though they may lack the necessary experience, they may have the skills and the creativity you’re looking for. Look for recommendations – Word-of-mouth recommendations are always an excellent way of finding the right content writers. Ask your friends, business associates or other contacts if they know or have heard of someone that fits your criteria. Once you find the right content writers, it’s a good idea to test them further and see how they perform. If you’re satisfied with them, you can reach an agreement and start working together. Using emails or messaging software just isn’t enough to boost work efficiency and collaboration nowadays, especially for managing remote and in-house teams at the same time. That’s why it’s always a good idea to create a unique infrastructure for your organization with one of the public cloud providers. That way, you’re centralizing collaboration and communication to the it-cloud, where information exchange happens in real time, and everyone involved is gathered at the same place. Also, it’s not just collaboration and communication that’s centralized but asset management, such as images, previous articles, tasks, tools, etc. as well. That way, both managers and other members of the team can communicate adequately with each other and share data. Give members of the team guidelines for content strategy and its goals; a simple overview will do, you don’t have to overwhelm them with technical details. Define the structure of content you want writers to follow, such as tone of voice, formatting, length of articles and posts, headline structures and so on. Provide writers with research material from other sources that will help them get started or find inspiration. Provide them with a calendar with clear deadlines, so they know how much time they have to complete a task. Provide them with resources where writers can find relevant information, such as quotes, statistics, and references. This is just an example of how to give proper instructions to your content writers. You can always make adjustments to make a template that will best suit everyone. However you choose to create your process, you can always improve upon it. Don’t hesitate to ask members of your team if the structure suits them or if there is anything that confuses them. Also, ask for opinions and recommendations on how they think the process can be improved. After all, the process is there to help you maximize efforts and improve your team’s efficiency and productivity while minimizing setbacks. That way you’ll eventually reach a point where you deliver content that exceeds your client’s expectation right on time. 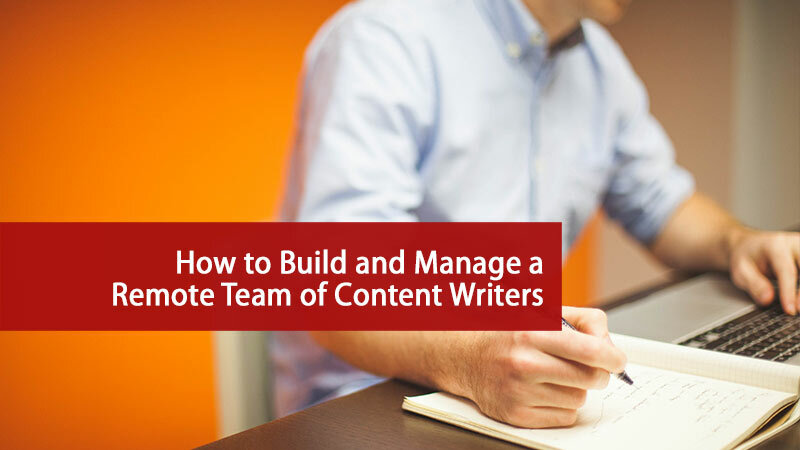 Building and managing a team of remote content writers isn’t as simple as it sounds. However, with careful planning and with right organizational skills, you’ll be able to manage this task without any troubles at all. Oscar is a writer from Sydney and one of the editors at Bizzmarkblog. He frequently writes about the latest in the tech, marketing, and business industries.